I decided pretty early on though that there wasn't much point. 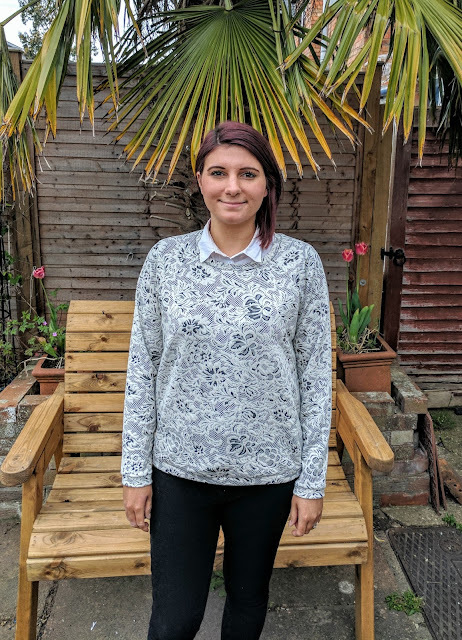 I didn't know what size my baby was likely to be, if they would be long like I was, or even if they were a boy or a girl. And even if I did know some of that, they'd be growing out of things so fast it would be a lot of effort for an outfit they might only wear a few times. 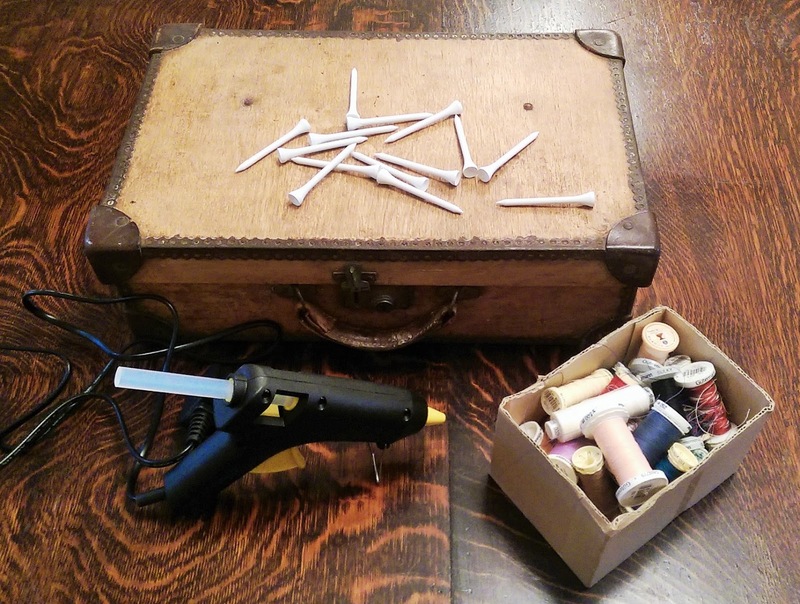 Not to mention finding the effort and inclination to sew hasn't always been easy recently! However I did think I could manage a few small projects for them, like a blanket or two. I browsed a few tutorials online and decided to just go for a simple cotton with minky backing blanket. I bought one metre of minky from an eBay seller and got two blankets out of this, so each one is around 30"x36". I also chose to use a thin wadding in between the minky and cotton layers, to give a bit of extra padding. After all I am expecting a winter baby, and with a bit of wadding I thought they would also make great playmats for our wooden floor. Every tutorial I looked at called this a super simple, quick project, but in reality my first one took me an entire afternoon and I was pulling my hair out by the end of it! Simply put...minky is an absolute nightmare to sew. Pins are your friend. I tried sewing all three layers together a couple of times and everything shifted. Then I tried just the cotton and minky, and the same thing happened. Eventually I managed it by placing pins no more than a centimetre apart, the whole way around the edge, and across the centre of the blanket too, to keep it in place. Then I sewed the wadding to the other two layers by sewing within the seam allowance. I trimmed the seam allowance, turned it the right side out and top stitched around the edge, again pinning as frequently as possible. My walking foot was also an absolute godsend! 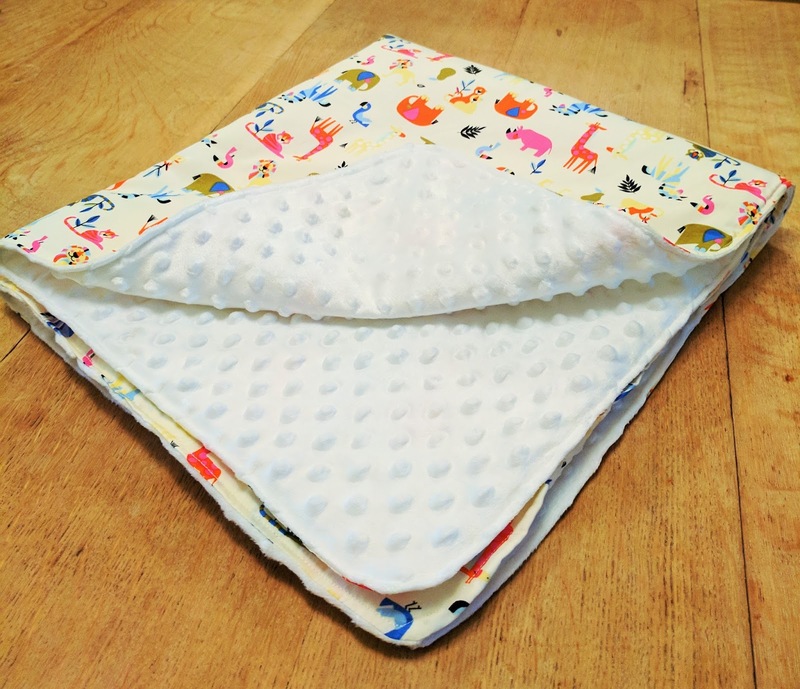 So although there is very little sewing needed, be prepared to sit with your fabric on a flat surface pinning incessantly for quite some time. All that aside, I am very happy with my finished blankets but I think I may be put off minky fabric for life. 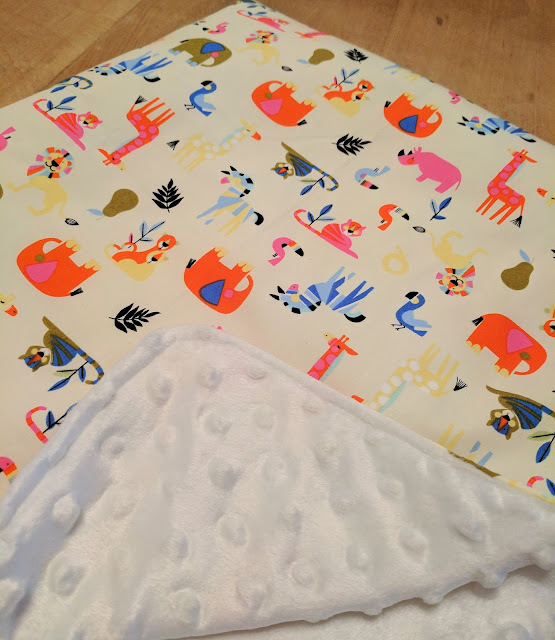 One of the other projects I'm hoping to get around to, is a few bibs using the leftover bits of fabric from these blankets. Just three weeks to go until D-day! 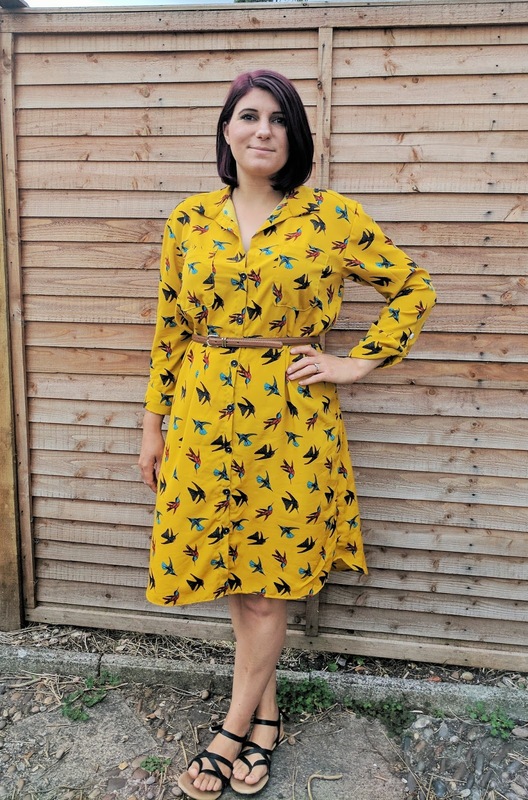 As you may be able to tell, this Alex Shirt dress from Sew Over It is something I sewed up way back in July. When I could still fit into the majority of my summer clothes and get up off the sofa without help. That being said it is a dress I still wear a lot now as it has such a relaxed fit and I can just wear it with a belt above my bump. Its only really obvious its not a specific maternity dress when you look at the hem as it is now several inches shorter at the front! 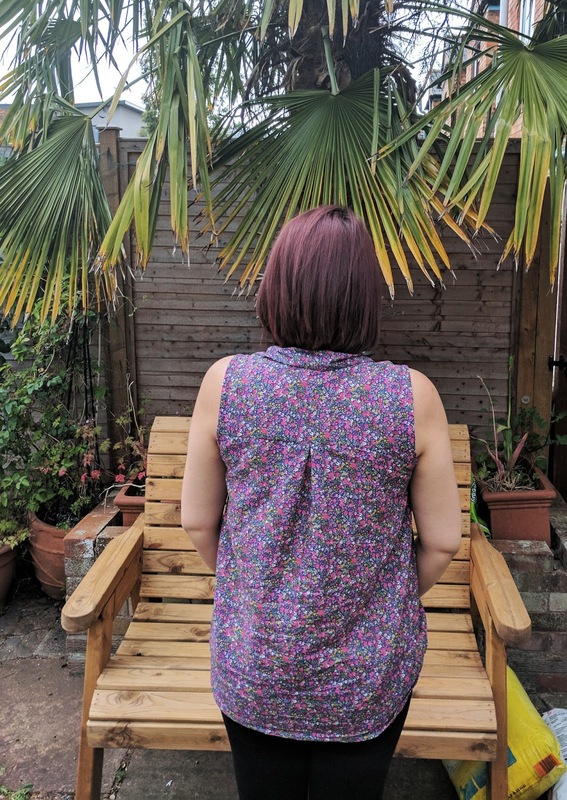 This was my first time sewing this pattern with sleeves and the full length, after my previous sleeveless flowery version. The set in sleeves were straightforward and I like the tabs at the end, making the sleeves a flattering 3/4 length. The fabric I chose was this gorgeous mustard soft peachskin crepe I picked up on my last visit to my old London neighbourhood at Fabrics Galore. They have now improved their website considerably so I've since bought a few bits of fabric online too which arrived pretty quickly. The fabric, although crepe, was not too slippery so I found it reasonably straightforward to cut out and sew together. It was only when it came to the hems that I couldn't hack it and put off doing it constantly. So I decided it was about time I got myself a walking foot. I fully expected to have to buy one online, but on a whim decided to check one of my local sewing shops. Its an amazing Aladdins cave of machines and every possible tool you might need, and after a bit of a rummage at the back the lovely owner found me one for my brand of sewing machine. If I had known how much easier it would make my life, I would have got one a lot sooner! I really love the finished dress, and its one that always gets me lots of compliments. However it's also an outfit that really needs a belt to pull in it at the waist, otherwise its falling the wrong side of frumpy. It's quite 'art teacher chic' as Mr Makes once put it. The fabric choice was also an absolute blessing when I realised it doesn't crease, so I've never had to iron it. So if you're looking for sewing patterns that you can wear through pregnancy and beyond, I highly recommend the Alex shirt and dress, at 32 weeks I've still got a bit of room left for my ever expanding belly. 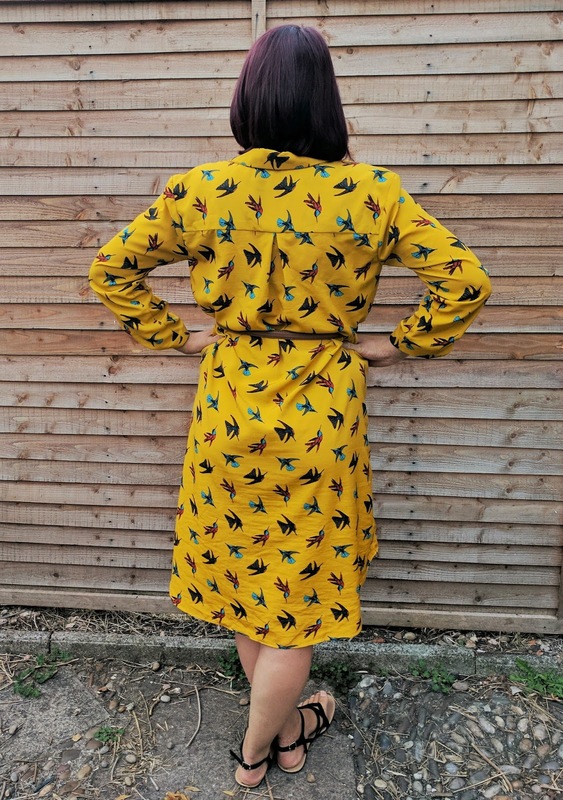 The Capsule Wardrobe eBook also has a couple of other patterns that work well, my Lola Coat is the only one I can fit in this winter, and there's a great Molly maternity pattern hack on Lisa's vlog I recently used for a dress I'll be showing you very soon. However we did make an agreement that I would keep it tidy and not have things lying about, so I've been working on some storage solutions! 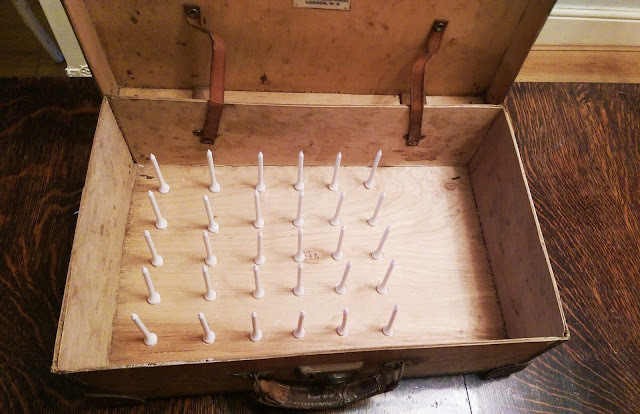 I got this idea from Pinterest, where some people had used shoeboxes to house their thread collection. My family got really into collecting vintage furniture from flea markets and the like a little while ago, and I picked this little wooden suitcase up on one such trip. To turn it into thread storage, all I used was some plastic golf tees I picked up on amazon for a few quid, and a glue gun. I would recommend measuring out the spacing for your spools of thread, most of mine are 250m, so I made sure the tees weren't too close that they would fit in nicely. I also left a gap at the side that I could use to house a few other sewing essentials, such as shears, measuring tape etc. I have now bought a pegboard for the wall though, so when that goes up I might just glue a few more tees down and move the shears to a peg. So there we have it, a nifty vintage storage solution. 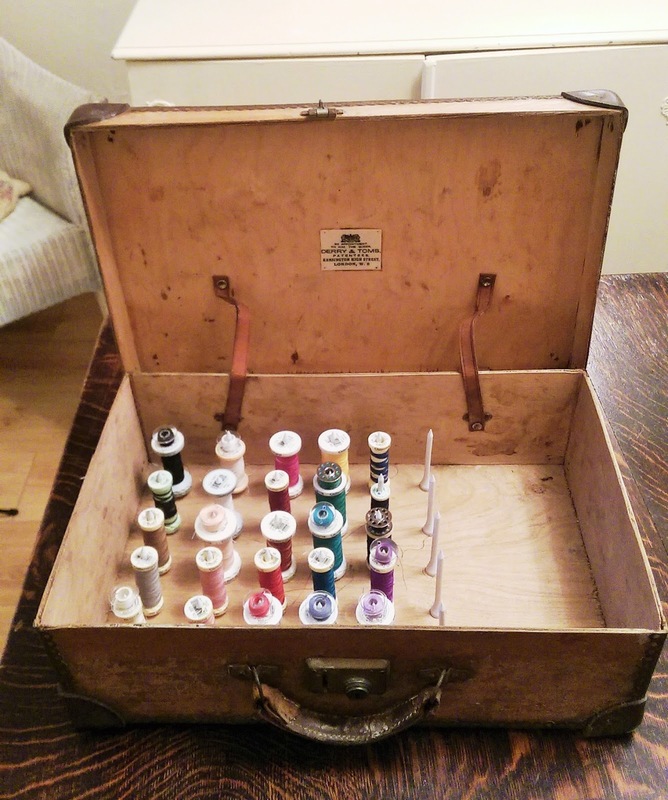 Where do you keep your thread spools? So today I'd like to share with you my plans for my maternity wear wardrobe. As I'm now over 6 months I've already made a few things, but the last couple of weeks have really narrowed down my wardrobe options! I didn't really have plans to sew much for my pregnancy in the early days. 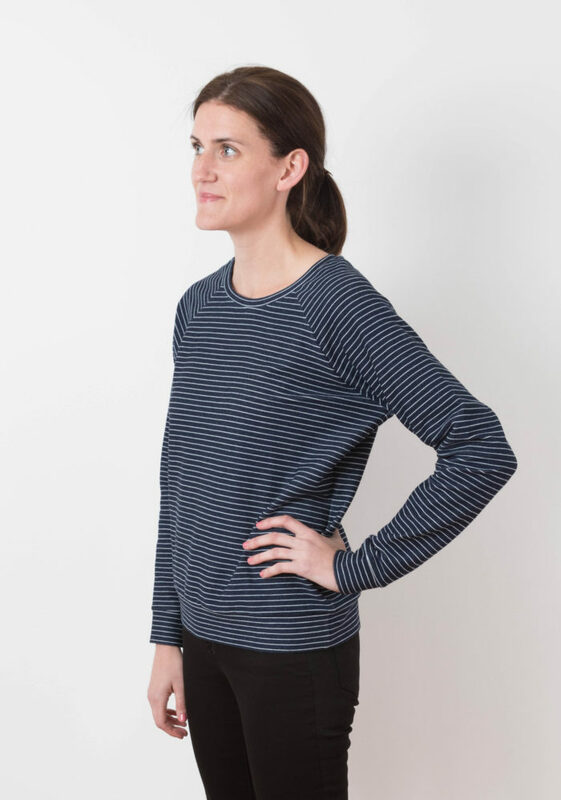 I thought I could get through the whole 9 months with a couple of pairs of maternity jeans and some of my loose fitting shirts and jersey dresses. Whilst that's probably possible, once I got to 4/5 months I found I just felt a bit of a shapeless blob. I was quite a bit fatter and yet noone was offering me a seat on the tube. For me I've actually found closer fitting clothes to be my saviour. I feel pregnant yes, but I also feel womanly and attractive. Are you likely to have/planning on more than one pregnancy? Mr Makes and I have always been keen on having kids, and both come from big(ish) families. 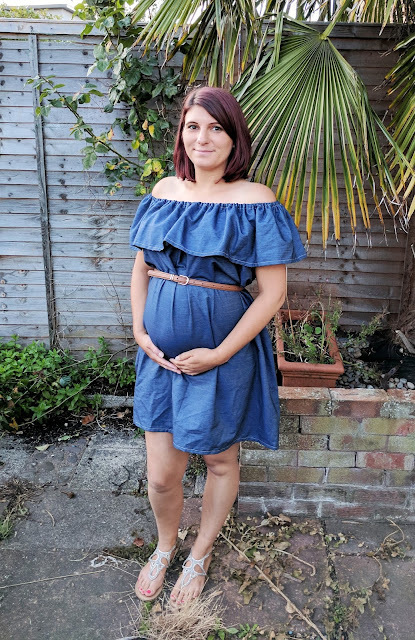 When I thought about this, it made more sense to have well fitting maternity clothes I loved because they'll hopefully get more wear in a few years time. When are you going to be at your biggest? Definitely think about the time of year you will be in your third trimester. I spent ages looking for a good pattern for a empire waist or maternity maxi-dress at the start of summer, when really I still fit in the majority of my usual summer wear. 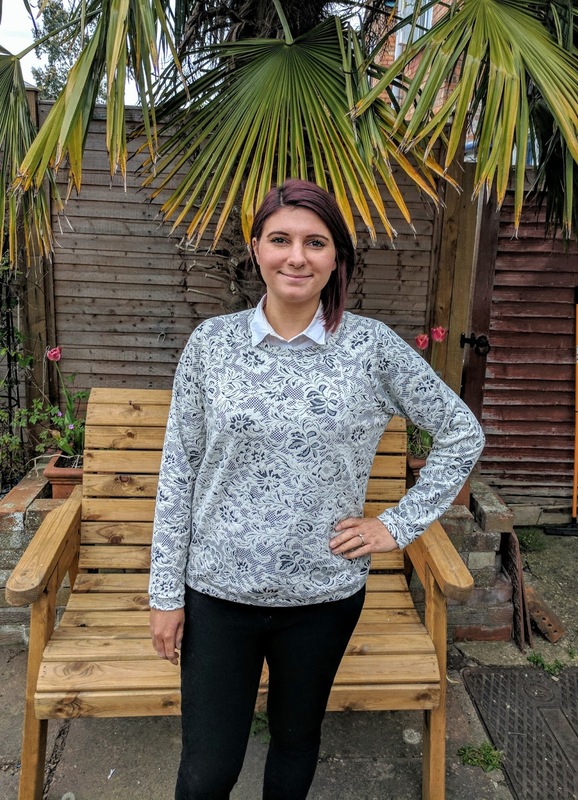 As we're expecting a Christmas baby, my maternity outfits need to be more oversized jumpers and cosy knit dresses to see me through autumn and the start of winter. Are you thinking about breastfeeding? A couple of the patterns below either aren't, or don't look obviously maternity and have buttons down the front. If you're planning on attempting to breastfeed, clothes than can double as maternity and nursing are a great idea. How are you finding pregnancy? I'm lucky in that I've been in pretty good health during my pregnancy so far. The heartburn, exhaustion, nightmares and insomnia aren't fun, but I managed to miss out almost entirely on the morning sickness. Whatever energy we have is pretty reduced during these nine months, so if you're finding things tough then really, finding the energy to sew is bottom of the list of priorities! And here are the patterns I've sewn so far, or I'm intending to soon. 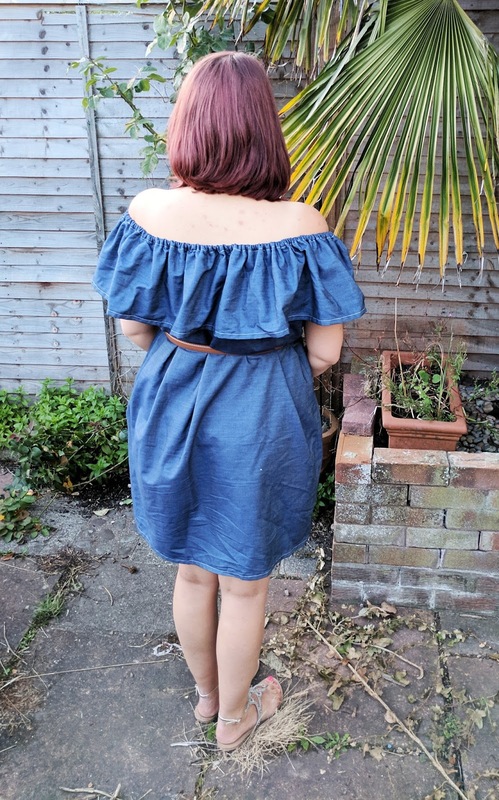 Off-Shoulder Ruffle Dress... and an Announcement! I rarely go clothes shopping nowadays, as I sew most of my wardrobe. 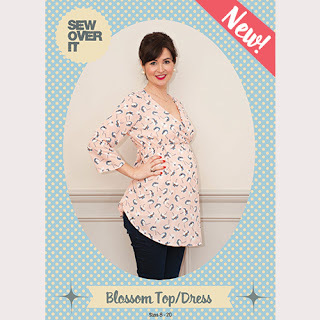 So my shopping involves browsing Instagram and various blogs for new patterns to try out. By the time I had noticed the off-shoulder trend going around summer was already in full swing; add in my usual period of procrastination and it was nearly over before I'd jumped on the bandwagon. It's very straightforward to follow, and all you need to draft the pattern is a few measurements to cut out a couple of rectangles. I actually didn't get quite enough fabric to use the measurements required, so just used the full width of the folded fabric which was a few inches short of twice my bust measurement. As it was going to be gathered into the bust measurement anyway it didn't matter and just looked a little less full. The fabric I used was a medium/lightweight dark cotton chambray, and I used contrasting white thread for topstitching (mostly as I was too lazy to pop out and buy more navy). In total, this little dress probably took me less than two hours from start to finish, and used a fairly conservative 1.5metres of fabric, so a cheap project too. 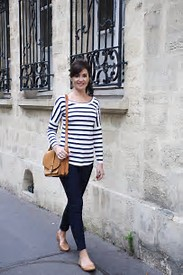 I wasn't convinced about the style at first, as I find having things loose around my waist can verge on making me look frumpy. So I've taken to wearing it with a belt to draw it in to my waist and give a little more shape. What this does is also draw attention to my ever-growing belly! That's right, I've not only been stuffing my face with cake all summer long, I'm having a baby! Little Baby Makes is due just a few days before Christmas, but if they have the timekeeping of their mother its likely to be 2018 before they make an appearance. The great thing about a dress like this is I should be able to wear it right the way through, as there's a lot of room under that ruffle! I feel like I should start this post with an apology, but I'm going to try not to. 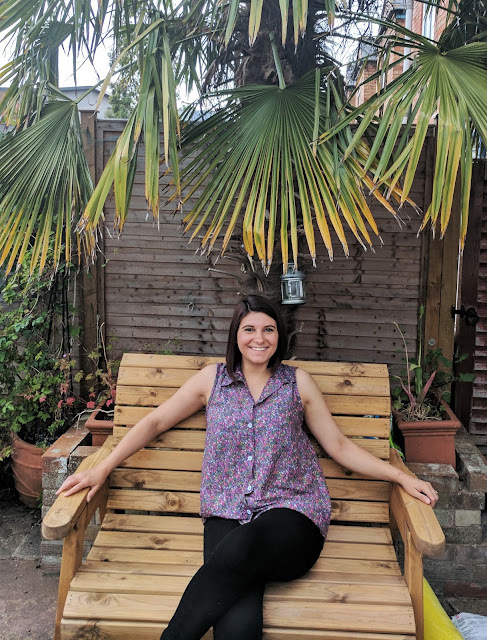 Life has been busy recently and to be honest writing this blog has felt like a chore I just didn't fancy doing. For most of us at least, blogging is still a hobby and if sometimes we don't feel like doing it, that's okay. 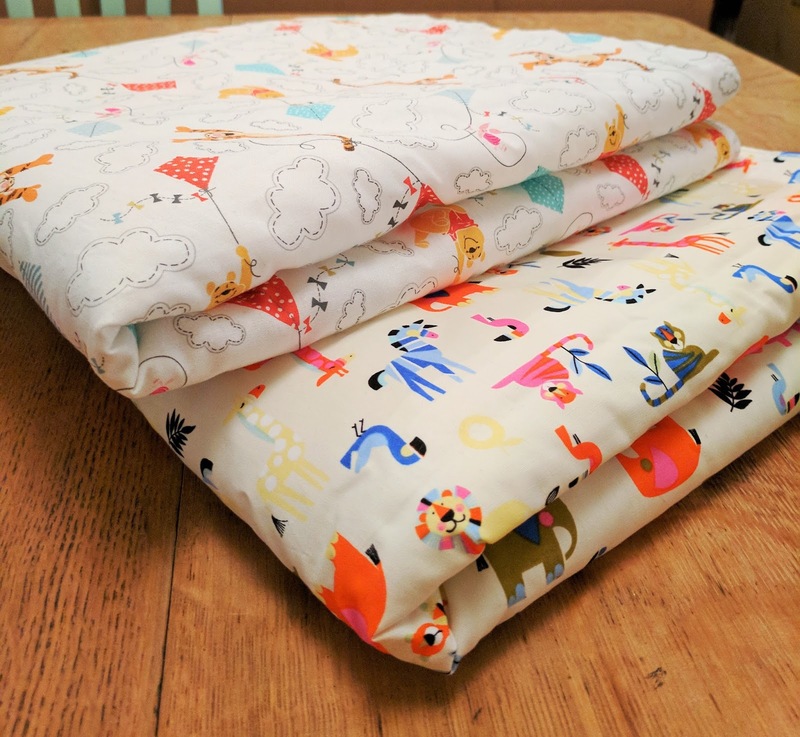 The good thing is whilst I haven't been blogging about it, I have been sewing! So I've got lots of (relatively) new makes to share with you. 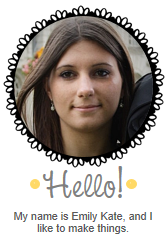 If you don't already follow me on instagram, check me out at @emilykatemakes. Whilst sometimes writing a blog post can take quite a while to get right, sharing a picture on instagram takes just a few moments, so I try and share bits and bobs of my makes in progress, along with daily life, as often as I can. 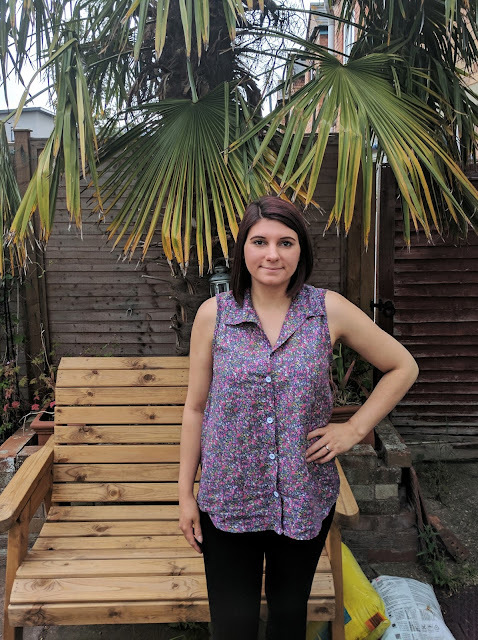 So onto what this post is really all about, the Alex shirt from Sew Over It's book, out last year, My Capsule Wardrobe. When I first looked through the patterns in this book, the Alex shirt wasn't one I was sure I was going to get around to making. I already have a couple of shirt patterns, did I really need another? After another slightly disappointing version of the shirt pattern from the first Great British Sewing Bee book, a fellow sewer suggested the Alex shirt as a great pattern to try. I have made some great shirts I wear all the time from the Wenona pattern from Named, but the Alex was different enough that I thought i'd try it. My first version is actually a sleeveless one, not something I had exactly intended, but I had been a bit stingy on the fabric buying and couldn't quite manage sleeves. I used a purpley, floral cotton lawn I found in my local fabric shop. The pattern I found straightforward to follow, even understanding how to sew the yokes on, which I can never remember no matter how many times I do it! If I had to be critical, I would say that the instructions are less detailed in capsule wardrobe than in individuals patterns from Sew Over It, so if you're a complete beginner you may find it harder to follow. The only thing I would change about it is to maybe have buttons up to the top, I do like the option to button a shirt right up, particularly if I'm wearing it under a jumper. I added an extra button, as the first one being on the bust meant that I was occasionally showing a little more than I intended, and when my day job includes teaching teenage boys, that's really not a great idea. To make the shirt sleeveless I completed the whole shirt, avoiding the sleeve area, even sewing on the buttons. I then tried it on and with a bit of help from Mr Makes (seriously don't try it alone its very difficult!) worked out where I wanted the empty armholes to stop. I then used bias binding made from my excess material to finish off the armholes edges. I also took in the side seams under the arm, grading back out to the bottom. It's been a while hasn't it chaps? What can I say... Life has been busy. We've been working on doing up the house and furniture projects, and honestly, I've just not been feeling the sewing vibe. But now my sewing room is almost finished, and my wardrobe is looking pretty bare. So I figured it was about time to get stuck back in. 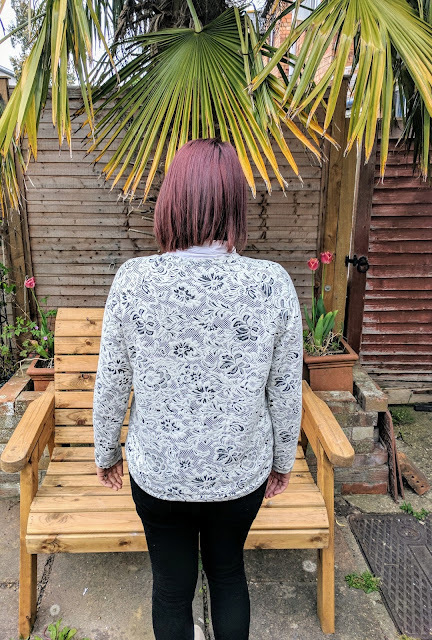 Way back in December 2016, I finally got around to printing a pattern I've had on my list for some time, the Linden sweatshirt from Grainline Studio. I put together the pattern, cut out my fabric, then Christmas got in the way and it wasn't until this week I finally got to the actual sewing. It's just the second Grainline Studio pattern I've sewn, after my Morris blazer, but I won't be stopping there. 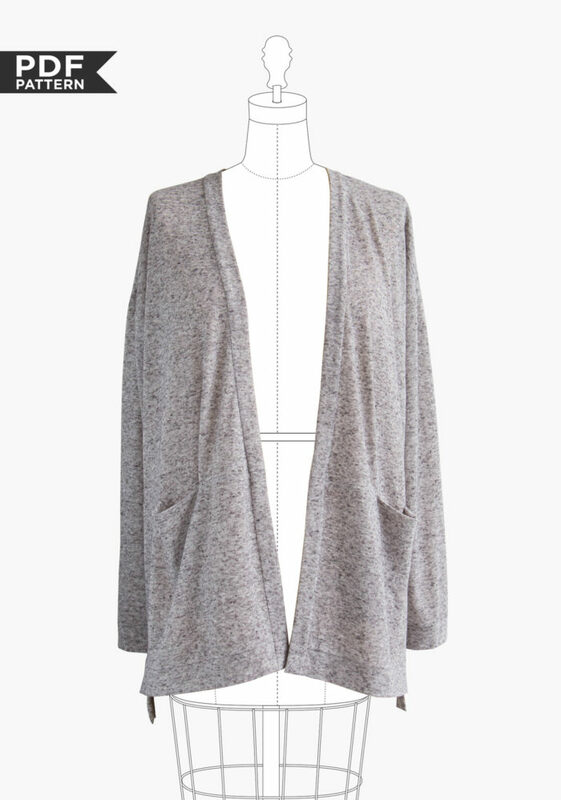 I already have my eye on the Driftless Cardigan. just love the simplicity of their patterns but how wearable they are too, with any body shape. The fabric I used is a lycra/viscose blend with lots of stretch, and thick enough to actually keep me warm. I cut out a size 10 according to my measurements which gave me a nice relaxed fit. For a closer fitting sweatshirt I think I could easily use the size 8 without any fitting issues. I did have to get quite ingenious when it came to getting all the pattern pieces out of just a metre of fabric, so ended up forgetting to cut two hem band pieces. I decided to just cut the one hem piece in half widthwise so I would have a narrower hem, and did the same with the sleeves to match. The extra hem length might have been nice but I think the sleeves are the perfect length. 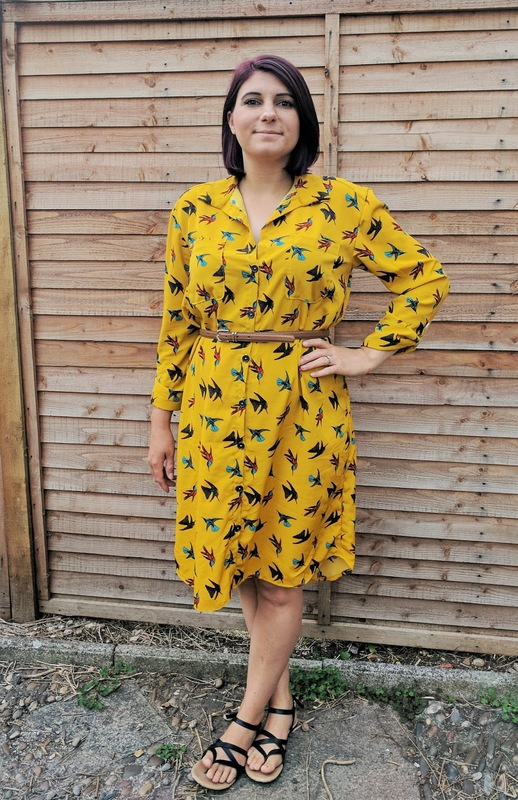 I used the main fabric for the hem and neckline pieces, but I think a bold print like this would also look great with a contrasting black ribbed neckline.